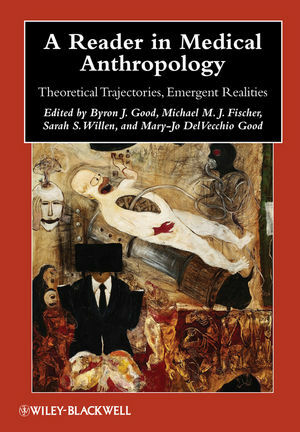 A Reader in Medical Anthropology: Theoretical Trajectories, Emergent Realities brings together articles from the key theoretical approaches in the field of medical anthropology as well as related science and technology studies. The editors’ comprehensive introductions evaluate the historical lineages of these approaches and their value in addressing critical problems associated with contemporary forms of illness experience and health care. Byron J. Good is Professor of Medical Anthropology, Depart­ment of Global Health and Social Medicine, Harvard Medical School, and Professor in the Department of Anthropol­ogy, Harvard University. Michael M. J. Fischer is Andrew W. Mellon Professor in the Humanities and Professor of Anthropology and Science and Technology Studies at the Massachusetts Institute of Technology, and Lecturer in the Department of Global Health and Social Medicine at Harvard Medical School. Sarah S. Willen is Assistant Professor of Anthropology at Southern Methodist University. She has been an NIMN Postdoctoral Fellow in the Department of Global Health and Social Medicine at Harvard Medical School and has taught in the Department of Anthropology, Harvard University. Mary-Jo DelVecchio Good is Professor of Social Medicine, Department of Global Health and Social Medicine, Harvard Medical School, and in the Department of Sociology, Harvard University.